Students will choose one of these places and create a travel guide. They can create a travel guide for a family of swans, for a family of humans, or for both. WIth this one of the activities for Trumpet of the Swans, students use a 8 1/2 by 11 inch piece of paper, but a larger piece of paper, such as 11 inches by 13 inches, may work better. Students fold the paper into thirds, creating a tri-fold like a brochure. Depending on what you want to accomplish with this activity, such as research or writing skills, explain to students what each section of the brochure needs. Create a rubric for this project, so students know exactly what to include. This E. B. White novel explores what it means to communicate with one another. You can create activities for Trumpet of the Swan that focuses on communication. Since Louis is a trumpeter swan that is born without a voice, this causes problems for him. You can discuss with students how humans sometimes are born without being able to hear, and this also affects their speech. How do students with hearing impairments communicate with other people? How is this similar or different to the way Louis learns to communicate? You can also discuss with students or ask them to write about how when Louis learns to read and write, this doesn’t solve his communication problems with the other swans. Invite a guest speaker to come to your classroom and talk about sign language or being hearing impaired while reading Trumpet of the Swan. Another idea for activities for Trumpet of the Swan is to assign students a project on communication. You can ask them to research how people communicated thousands of years ago compared to how we communicate today. Students can research and present information on how we use technology to communicate today more than ever before. Students could even research and create a power point presentation on a communication device such as the first telephones, the Pony Express, or even the first computers. Ask students to write down several problems in the novel and how they are solved. Discuss the huge problem in the book–that Louis has no voice–with students and the different solutions for this problem. One of the solutions involves Louis’s father stealing a trumpet for his son. What do students think about this solution? Was it okay for Louis’s father to steal the trumpet? You may have differing opinions in your classroom, and you can hold a mini-debate. Students can present their opinions and back them up with events from the book. They can also use examples from other stories or even their own lives to debate this issue. Students can brainstorm different ways to solve problems that occur in the book. Once they have a list of different solutions, they can choose one that is different from the book, or they can state that the characters in the book solved the problem in the best possible way. 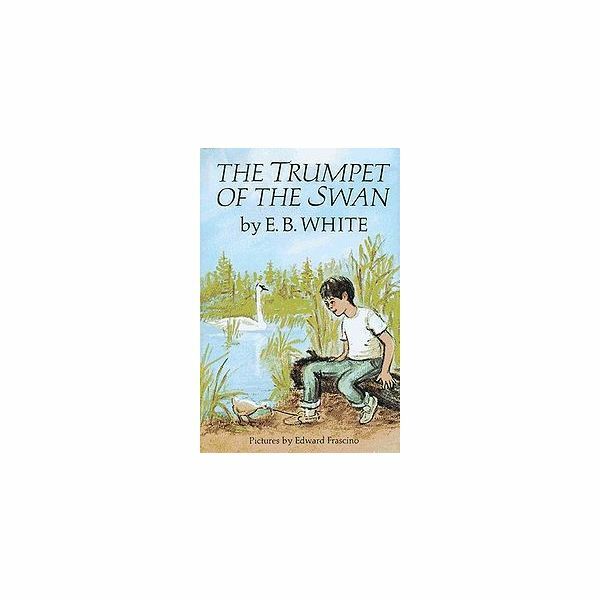 Work on comprehension skills with activities for Trumpet of the Swan.